What is often missing in discussions of Western policy on Iran is the role of the Iranian people and their desires for a free and democratic Iran. A comprehensive policy must before all else take into consideration events on the ground in Iran or else it would yet again fail to address one of the most crucial foreign policy issues of recent times. The wave of protests which started at the end of last year and continued through the New Year shook not only the regime in power but the entire world. The people of Iran poured into the streets across the country rejecting the clerical regime in its entirety. Chants of “death to Khamenei and Rouhani” and “reformists, hardliners, the game is over” left no doubt that the people of Iran want regime change and nothing short of that. The people called for a republic and a Free Iran. To the surprise of many Iran experts and governments in the West, the core of the people on the streets of over 140 cities were the same sector of the society that were wrongly thought to be the power base of the clerical regime. Indeed, the entire nation is demanding regime change. 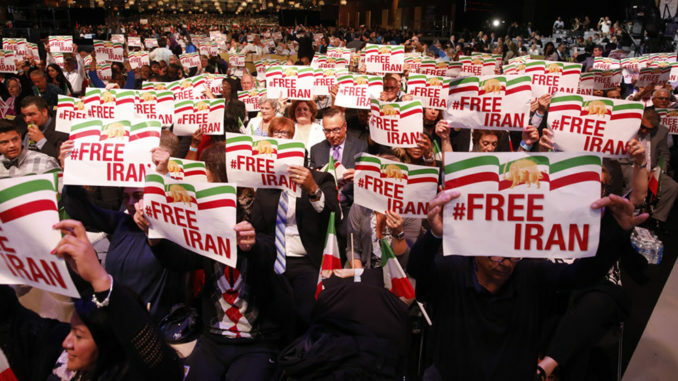 On June 30, 2018 Iranians from across the world, free from the yoke of the mullahs, will join in Paris, in an extraordinary event “Free Iran; The Alternative.” Tens of thousands are expected to participate in the gathering. Each Iranian attending the rally represents dozens, if not hundreds or thousands, of brave Iranians inside the country who are protesting for regime change. The event has already been publicized inside Iran through social media, and messages of support for the event are coming from civil society. The people of Iran see the June 30 event as the echo of their own cry for freedom. The annual gathering of Iranians in previous years had drawn some 100,000 participants. However, this year’s event, given the domestic situation and the international developments, is unique. The event heralds the dawn of freedom for the people of Iran and an end to the nightmare of spread of Islamic fundamentalism and instability in the region. 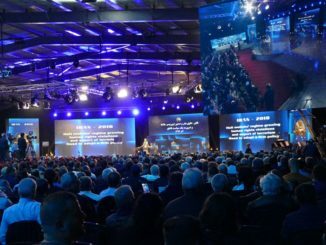 Maryam Rajavi, President-elect of the National Council of Resistance of Iran (NCRI), which includes the largest resistance force inside Iran, the PMOI (MEK), said in the 2017 annual gathering that regime change in Iran is necessary and within reach. The wave of protests proved the correctness of the message which at time was confronted by some skepticism by governments and many ‘Iran experts’. The message this year is short but very precise: Iran has a democratic alternative – thus, setting aside the misguided notion, advocated by the Iranian regime’s lobby, that regime change would lead to chaos. For far too long, the people of Iran and their desires were ignored. For many years, the West looked at Iran from very narrow spectacles. It is time to realize that the mullahs’ regime cannot exist without suppression at home and export of terrorism abroad. 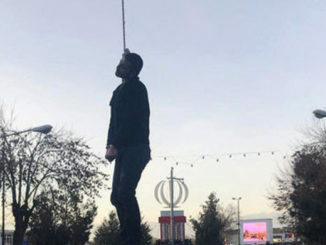 Silence regarding the criminal mullahs, let alone wittingly or unwittingly empowering those responsible for the massacre of the Iranian nation will only embolden the religious dictatorship’s warmongering, and export of fundamentalism and terrorism. The end of religious dictatorship in Iran is a requisite for regional peace, democracy, security, and stability. This is the only way to end war and crisis in the region and avert a larger war. It is time to listen to the Iranian people and set aside the old inertia and look at the alternative to the mullahs and the prospect of a new Iran, a Free Iran. An Iran governed by the rule of law. An Iran in which women enjoy full equality with men including in the political leadership. An Iran in which there is no room for compulsory veil or compulsion in religion. An Iran in which national and religious ethnicities live in harmony, work together and hand in hand to rebuild the country from the ruins left by the mullahs. This event is also unique because in the midst of partisanship on both sides of the Atlantic, dignitaries, politicians and lawmakers from both sides of the aisle will join each other to support the Iranian people in their aspirations and desire for a free and democratic Iran. 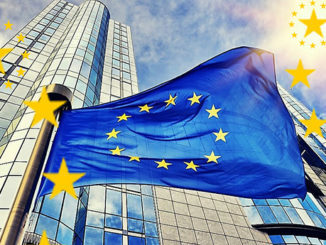 Americans and Europeans, Democrats and Republicans, Conservatives and Christian Democrats as well as Social Democrats and Socialists will address the rally along with representatives of Iranian communities. The composition of Iranians attending the rally, the bond between the millions on the streets of Iran and those attending the Paris rally, and the united front of Iranians from different political tendencies will show that there exists within the organized opposition the capacity to lead the protests in Iran to ultimate regime change. The regime’s Supreme leader, Ali Khamenei, has already expressed concern about the role of the MEK in organizing the protests in Iran. That is why Hassan Rouhani called on France’s President with a disgraceful demand to restrict the legitimate activities of the NCRI and MEK. Last year more than 500 international dignitaries attended the gathering, including former Prime Ministers, government officials, and Members of Parliament. They included the former French Minister of Foreign Affairs Bernard Kouchner; the former President of Germany’s Bundestag Rita Suessmuth; and the former UK Minister of Northern Ireland from Europe as well as Ambassador John Bolton, Senator Joe Lieberman, former New York City Mayor Rudy Giuliani, Gov. Ed Rendell, and former US House Speaker Newt Gingrich from the United States. The Free Iran gathering of June 30, 2018 will present to the world an alternative to the mullahs’ regime for a future free and democratic Iran.